I don’t shoot a lot of birds. But on a trip to my native, I found a lot of birds in scenic locations. 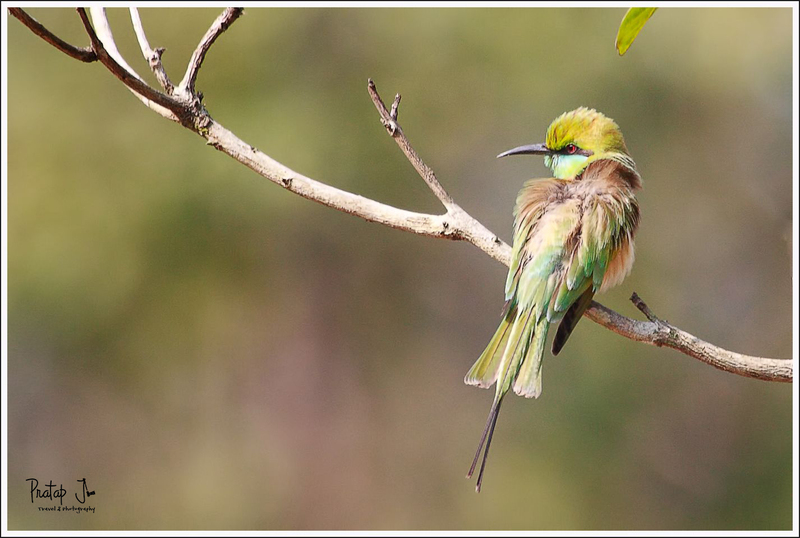 I was carrying the necessary equipment (a tele lens) and I managed to shoot this bee eater with a pleasant green background.